During these winter months when the days are shorter and the weather is cooler it is important to nourish our body with warming and nutritious foods. This coconut curry soup is a family favourite and can be easily modified to meet different dietary needs. In addition to being a delicious dish, the bone broth base and generous portions of leek, garlic and ginger provide immune boosting properties to help ward off winter colds and flus. Garlic is a potent antimicrobial, meaning it has antibacterial, antiviral and anthelmintic properties to fight off an array of pathogens. The sulphur compounds in garlic also support liver detoxification. If feeling a cold on the horizon increase your ginger and garlic in the dish to provide further immune support. TIP: when chopping your garlic, allow it to oxidize for a few minutes before adding to your dish- when chopped, crushed and exposed to air, the alliin is converted to allicin (by the allinase enzyme). 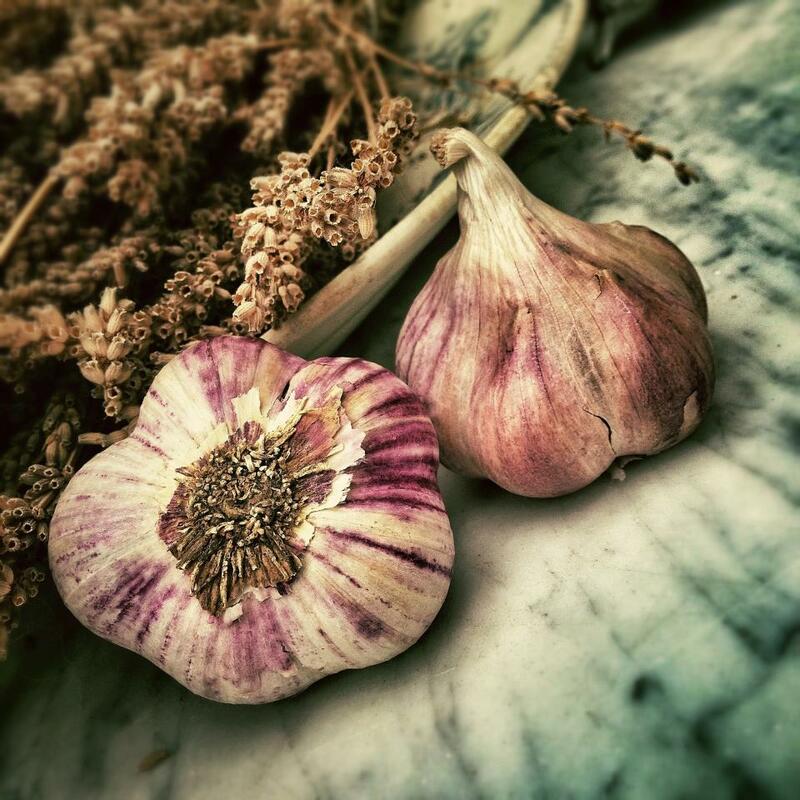 Allicin is the major biologically active component of garlic, responsible for its antimicrobial properties . In large pot add bone/vegetable broth, coconut milk, curry powder, Braggs soy seasoning, salt&pepper. With a knife or rolling pin, smash open lemongrass to expose volatile oils - add to pot. Simmer broth on low-medium heat while preparing the vegetables. Slice yams, carrots, leeks, celery, broccoli, taro root, garlic and tofu. Add all ingredients to pot except broccoli. Grate in ginger and add finely chopped jalapeño if desired. Simmer on low heat until vegetables are soft - in the last 10 minutes add broccoli florets (this keeps the florets "al dente"). In a separate pot, boil water for noodles. Add 1 package vermicelli noodles, cooking for 2-3 minutes. Add desired amount of noodles into dish and ladle coconut curry soup over noodles. Top with fresh bean sprouts and cilantro. Enjoy! Desiring meat in the dish? no problem - replace the tofu with chicken! Questions, recommendations for recipe improvement? Please comment below!